Not just Daycare! This is an educational experience for your dog. All our staff are Pet Care trained in reading dogs calming signals & warning signs & certified in Dog First Aid & CPR. All our staff once they have been with us 3 months get the opportunity to do their dog handler levels, there are 5 levels. This involves training dogs, learning higher level of knowledge in handling of dogs. All our staff are dog first aid & CPR trained, they do exams in dog handler level 1 & 2. 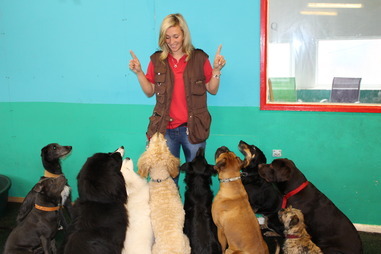 The Happy Hounds Trainers come in & train the dogs in the daytime & train our daycare staff on interactions. Late fee; If you have not booked ​​an after school club then if you were late to pick up without calling there would be a charge of £5 for every 15 minutes. 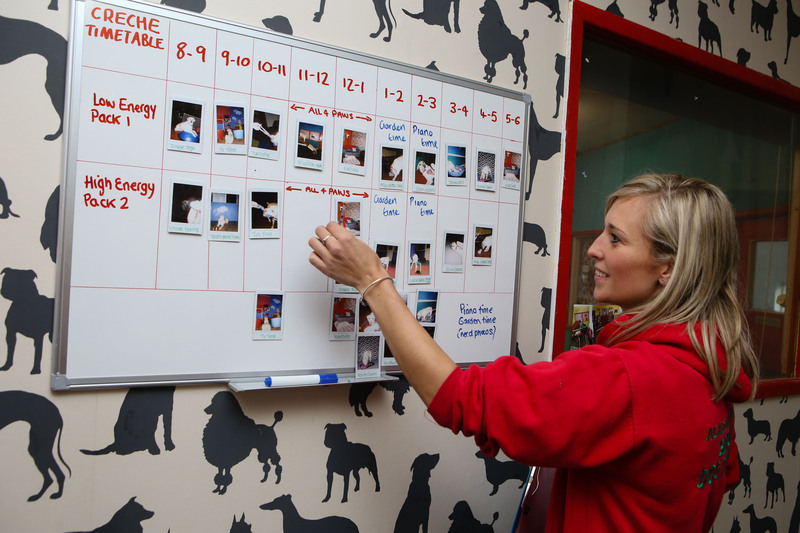 Our creche is supervised by 7 trainers, Alongside our Academy 4 Dogs pet care team of 6. Social interactions are monitored by the Blue uniformed Happy Hounds Trainers, Daycare team in red look after your dog, play with them & do activities with them. We are very lucky to have the Happy Hounds training school help us with our mixing of dogs & running reception to make sure all runs smoothly. All interactions are carefully monitored to make sure we have pack harmony at all times...We can only take males upto 6 months of age un-neutered & females up to their first season (as long as they aren't causing any problems in the packs). 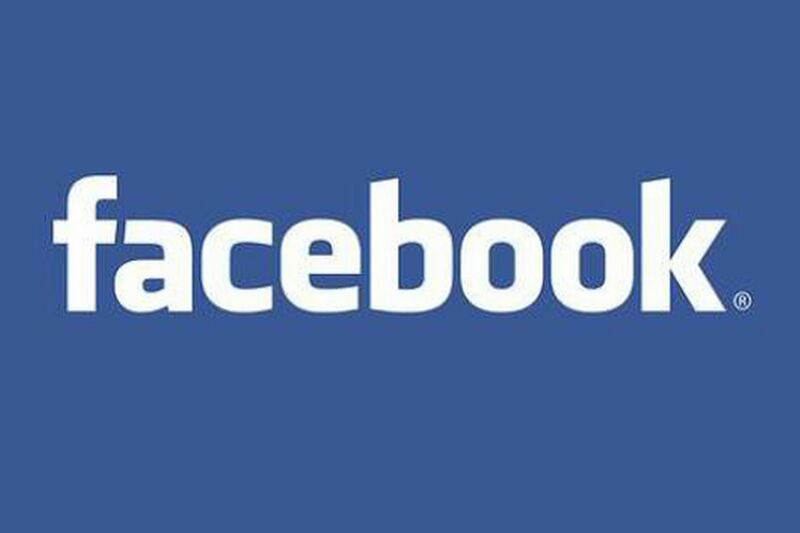 Photo's & Videos go on our Facebook page daily for you to view your dog & the classes held at A4D. We think its IMPORTANT to separate our dogs in to temperament groups to make sure we insure pack harmony & good social skills. Our dogs will meet a variety of dogs but are allocated in to their temperament packs of 5-15 dogs with a minimum of 1 handler per pack. Daycares that put​ all dogs into large packs together will be creating rude behaviours such as bullying & aggressive displays, we want to build & train them individually & our structure allows us to do that. If your dog is over 6 months they require an assessment with the owner Tracy​​ & her pet dogs. If they pass the off lead assessment, they stay that same day all day, you go home & pick up between 4-6pm (only on first day) to give them enough time to learn routine. If your dog is under 6 months they don't require an assessment just a trial day on their first day. First days take place on a Tuesday between 10-11am assessment slots.​​ All dogs have 5 trial days before achieving permanent place in the Academy. We have a percentage of each breed group & age groups in daycare so some groups are full so call for availability. Your dog after it's 5th day will get their school bandana & as long as they attend once per month they keep their place. After your first day all bookings are taken via academy4dogsuk@gmail.com (you never get turned away), its for an email trail. You can drop off between 7-11 & pick up between 1-6pm, we do a late fee till 6.30pm for £3. ​​We don't provide a transportation service to & from daycare.